I took the leap and moved back to Columbus. I'm getting really good at moving and eliminating clutter! 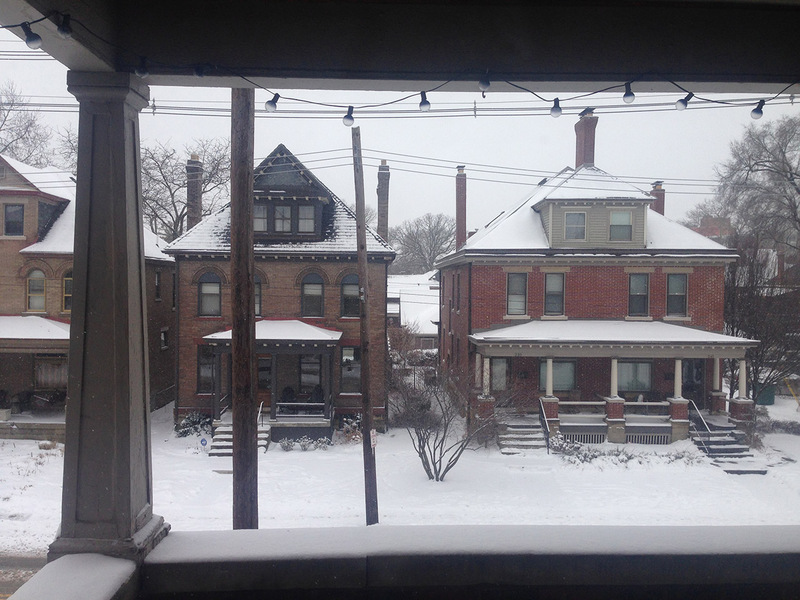 The latest home studio features hardwood floors, gas heat (thank god) and a balcony that has a view of Goodale Park. I have been moving a lot recently! This is the fourth workstation I've set up during my current dev cycle and it's pretty exciting. Now it's a race to get my game finished before the lease is up. Time and money pressure is a constant in gamedev. And that pressure forces you to constantly check your ambition at the risk of over-scoping your game. When players find issues or bugs in a game they often ask "How could the developer not have noticed this?!" Well, we did notice it. But we ran out of time/money. That's not a good excuse. But often it is the truth. Responsible devs need to take a serious look at the resources available to them, both time and money. Avoid mistakes. Then proceed down a development path that maximizes the amount of quality content they can produce, while leaving some room for exploration, risk taking, occasional back-tracking, revisions, and lots of testing. If it was easy, everyone would do it! Anyway, I'm actually glad to have the holidays over with. My birthday falls right after New Year's when everyone is exhausted and just wants to get back to normal. I hear ya. 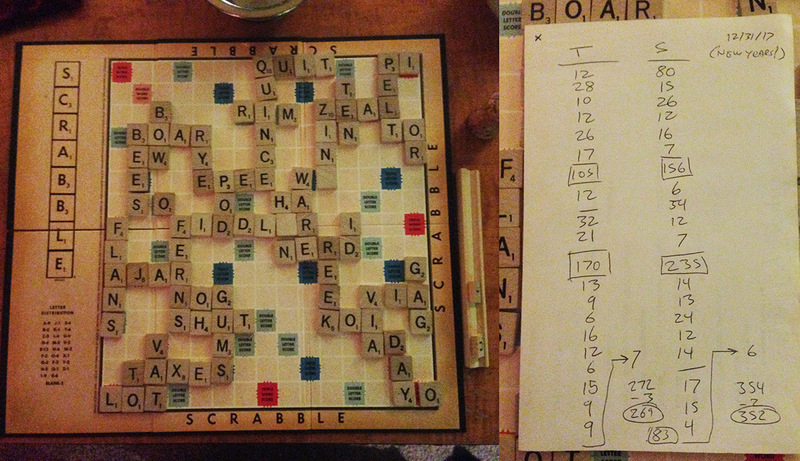 And last I want to give a shout-out to Shelly who ushered in the new year by whipping me in a game of Scrabble. Seriously, 80 points on the first play. I think she cheated! Tylak is a video game designer living in Columbus, OH.